Call us now at 817-203-2944 for emergency water heater repair and water heater flooding services for your gas or electric water heater. Water Heater Burst Cleanup and Repair - When a water heater has flooded, water heater overflow cleanup is needed and water damage repair may also be needed. Water Tank OVerflow - A water heater leaking at the top of the tank generally means the tank has a fitting or a plumbing part that has malfunctioned. If so, the water heater can most often be repaired. Restart or Relight Water Heater Repair - If your electric water heater stops producing hot water or you do not have enough hot water, a simple repair to restart a tripped breaker on an electric water heater or relight the pilot of your gas water heater may be needed. Water Heater Replacement and Water Heater Installation - If your water heater is over four years old or is broken or cracked, a water heater replacement is needed. 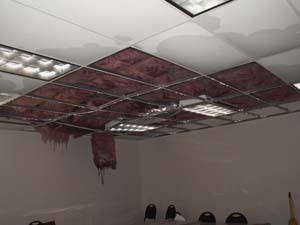 It is important to call for water heater burst, water heater flooding and water heater repair services immediately to prevent further property water damage. Contact Dalworth Restoration. At the first sign of a flooding or leaking water heater, contact Dalworth Restoration. We have crews available 24/7 to dispatch in our Dallas/Fort Worth service location for water damage clean up, dry out and repair. Call us at 817-203-2944 for water heater cleanup in Dallas, Fort Worth, Mckinney, Plano, Allen, Southlake, Grapevine or any city in the North Texas area. Appliances that hold water should be inspected regularly to see if they require repair or replacement. 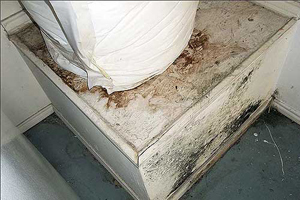 If left unchecked, what might start as a slow leak or drip could eventually lead to appliance flooding and water damage as well as hidden mold damage. At the first sign of appliance leaks, flooding or failure, contact Dalworth Restoration. We will dispatch a service technician to your location in our Dallas/Fort Worth Service Area.